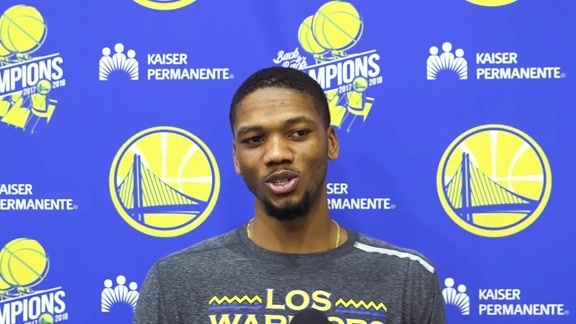 After the Dubs finished the season winning six of their last seven games, the team is primed for the beginning of the 2019 NBA Playoffs, presented by Kaiser Permanente. 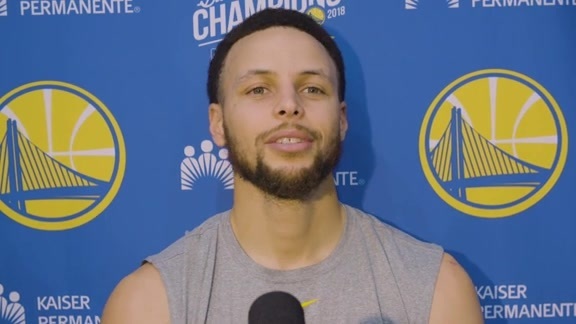 The excitement gets underway on Saturday when the Warriors host the Los Angeles Clippers for Game 1 of the best-of-seven series. 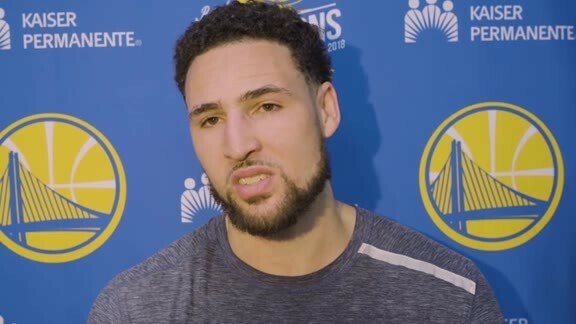 The Dubs won three of their four regular season matchups with the Clippers, including this past Sunday when the Dubs clinched first place in the West in their final regular season home game at Oracle Arena. The Dubs have won 32 of their last 39 playoff games, and look to keep the momentum from the end of the regular season going into their first round matchup. 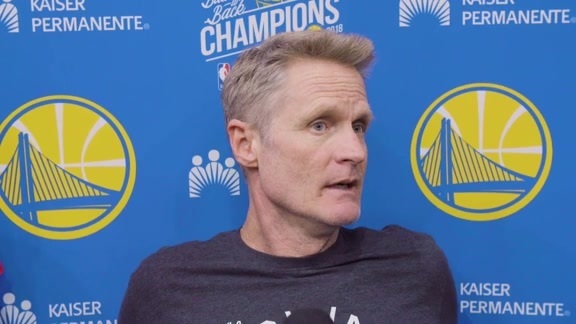 The 2018-19 Warriors went 57-25, their sixth straight season with at least 50 wins. In fact, their regular season record of 373-119 record (.758) over the last six seasons, matches Larry Bird’s Boston Celtics (1980-86) for the best record over a six-season span in NBA history. With three championships and four straight trips to the NBA Finals, the Warriors seek one more long playoff run in their final season at Oracle Arena. The Warriors finished the 2018-19 regular season with a 57-25 record (.695), including a 27-14 (.659) mark away from home for the best road record in the West. The Dubs won six of their last seven games and secured the top seed in the West at the start of the final week of the regular season. As a team, the Warriors led the NBA in offensive rating (114.9 points per 100 possessions), field goal percentage (49.1), assists (29.4 apg) and blocks (6.4 bpg), and they were also top five in points, 3-pointers made and 3-point percentage. The No. 1 seed for the fourth time in the last five seasons, the Dubs became the first team since the St. Louis Hawks in 1962 to have the same trio of players average more than 20 points in consecutive seasons. Stephen Curry (27.3 ppg), Kevin Durant (26.0 ppg) and Klay Thompson (21.5 ppg) hit that mark this season, and Draymond Green ranked among the league leaders in assists. Additionally, DeMarcus Cousins made his Warriors debut in January, making the Warriors the first team since the 1975-76 Celtics to have five All-Stars from the previous season in the starting lineup. The Dubs went 18-3 with that All-Star lineup, which figures to be the team’s main starting lineup in the postseason. Since the start of the 2014-15 campaign, the Warriors have gone 17-3 against the Clippers, winning at least three of four games in each season. This season, the Dubs have shot 48.9 percent from the field and 32.4 percent from beyond the arc against the Clippers, well below the Dubs’ overall season averages. But the Clippers didn’t completely slow down the Dubs, as they scored at least 112 points in each game. Stephen Curry averaged over 32 points in his three games played vs. the Clippers this season, including a 42-point effort on Dec. 23 at home. In addition, Kevin Durant has stuffed the stat sheet against the division rival, averaging 27 points, 8.5 rebounds, 6.8 assists and 2.0 blocks. Defensively, the Dubs forced the Clippers into 18.0 turnovers per game over the four games in the regular season series. After a red-hot March in which they went 13-2, the Clippers lost three of their last four games of the regular season to finish tied for seventh place with a 48-34 record. And by losing their tie-breaker with the Spurs, Los Angeles occupies the eighth seed and gets a postseason date with the Dubs. That the Clippers came within two victories of a 50-win season was a bit of a surprise, especially after the Clippers traded their best player, Tobias Harris, in February. But the Clippers rallied behind a balanced roster filled with production from a mix of veterans and young players. The Clippers were the fifth highest scoring team (115.1 ppg) in the NBA this season and ranked second in 3-point percentage (38.8), although they did attempt the third fewest amount of treys. While Danilo Gallinari played arguably his best basketball of the season, averaging career-bests in scoring, rebounding and 3-pointers, the Clippers’ greatest strength is their bench. Lou Williams is seemingly an annual candidate for Sixth Man of the Year, and this year he leads the club in scoring with 20.0 points per game. He has competition from his own teammate for that honor, as Montrezl Harrell’s effort and energy have resulted in 16.6 points and 6.5 rebounds per game this season. 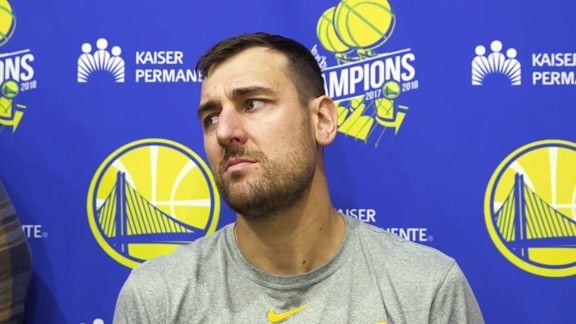 Additionally, the rookie backcourt duo of Landry Shamet and Shai Gilgeous-Alexander have shown great improvement throughout the season and big man Ivica Zuback has picked up his scoring and rebounding since his midseason trade from the Lakers.